Guided Math Resource books details teacher resource books that contain math activities. These resources will provide teachers with ideas to use in Guided Math stations. I personally use them in my Engaged Math Activity Station. My favorite Guided Math Resource books to use are by Didax. They are part of a series of books they have called “Dice Activities.” The teacher chooses if the activities are by self or with a partner. (Sometimes the time of year or day of the week helps me decide if they need to complete this math learning by themselves or with a partner.) The books also have a disk so teachers can introduce the games on an interactive whiteboard. Dice Activities for Math is created for K-3 grades. Some of their games include: Odd or Even, Number Recognition, Dice plus one, Dice minus one, Double the Dice plus one. These activities have simple directions and can be used over again for spiral review. 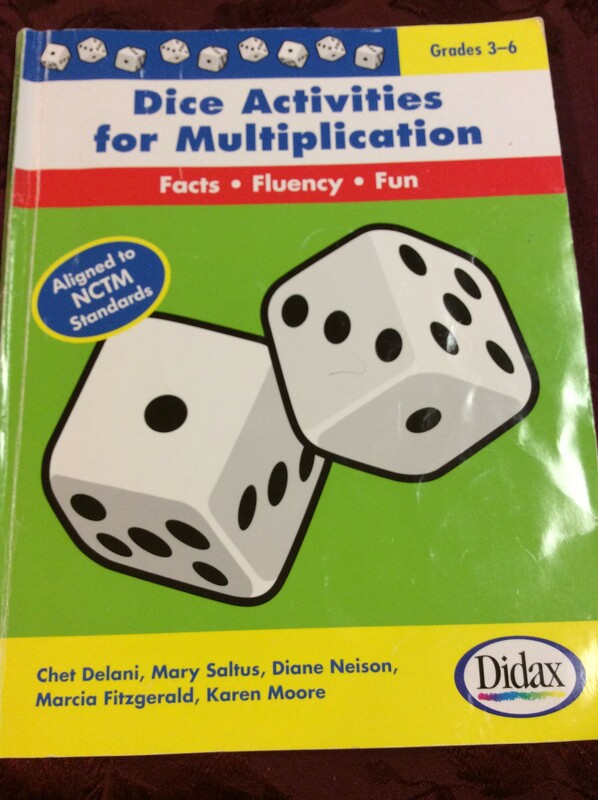 Dice Activities for Multiplication is created for grades 3-6, any grade level that needs to work on this skill. Some activities have the students graph their answers as the game is played. This leads into great questions about charts and graphs. My students are learning about algebra and graphs throughout the year by playing these games. One extension is to have the students write in their math journals two details about their chart. 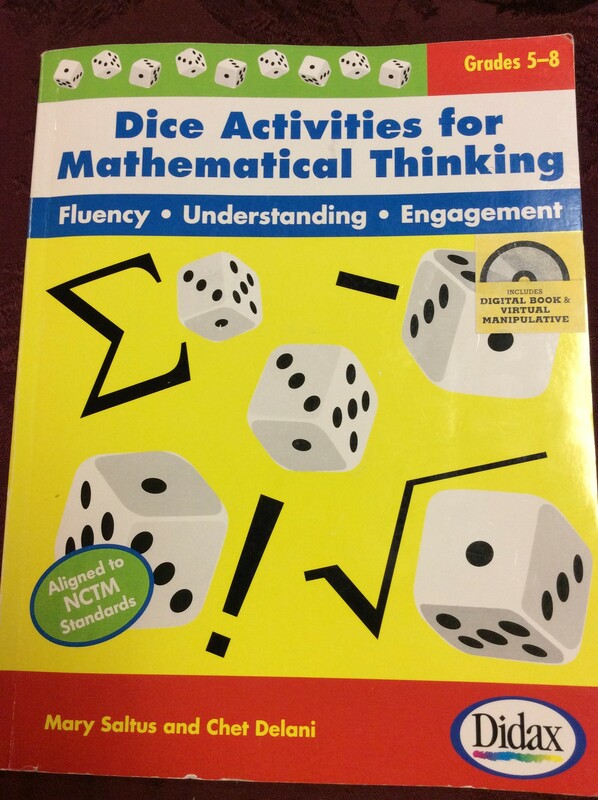 Dice Activities for Mathematical Thinking is for grades 5-8. I use the games of square numbers and/or square roots to extend some of my fourth grade students. It also covers prime numbers, summations, factorials, and positive/negative numbers. This games are simple to copy, laminate, store, and reuse. 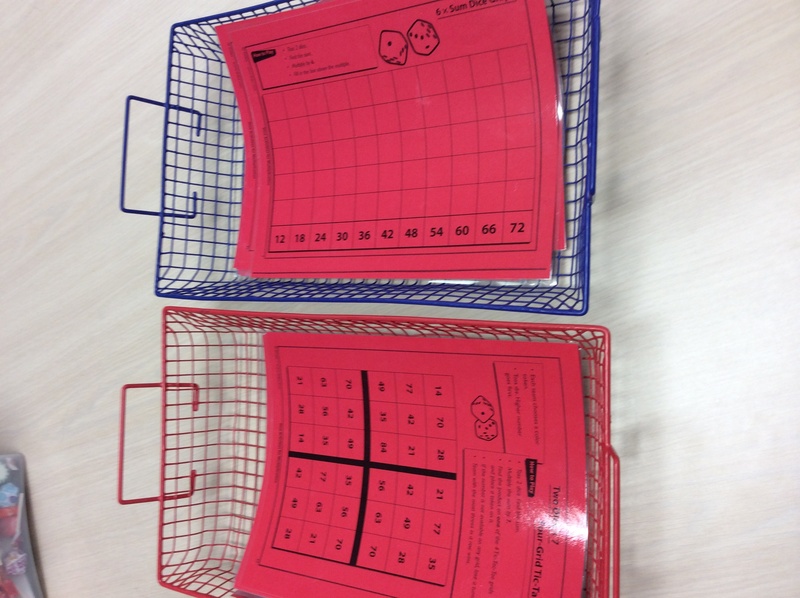 Dice Activities for Subtraction is also available. Also read my post on “Guided Math Resources for Math Stations” for names of websites or blogs that contain ideas to use with math stations. Sign up now to receive the latest Guided Math News on the welcome page of this website. As I post them on this website, Balanced Guided Math Facebook page, or Balanced Guided Math Pinterest boards, you will receive the tips automatically, saving you time from searching for them.